Generating leaders of tomorrow for our community groups is what’s on the cards for this fresh new project. A total of eleven community groups from across the borough were represented on Tuesday 27th November 2018 at Broughshane House. The groups have come together to be part of an exciting new project delivered by the North Antrim Community Network. The “Community Leadership” project is addressing the mutual strengths of our boroughs community groups, while delivering on a range of new exciting projects proposed by the community groups themselves. The project which is funded by the European Union’s PEACE IV Programme, and managed by the Special EU Programmes Body (SEUPB) will bring together representatives of community leaders to both share best practice and provide valuable networking opportunities. It will culminate in a brand new Community Leadership conference right here in the borough. The conference will be a valuable showcase of our regions talent in community leadership. It will demonstrate how the project has challenged these individuals, to build their capacity and knowledge to become future community leaders of tomorrow capable of real and sustainable change. 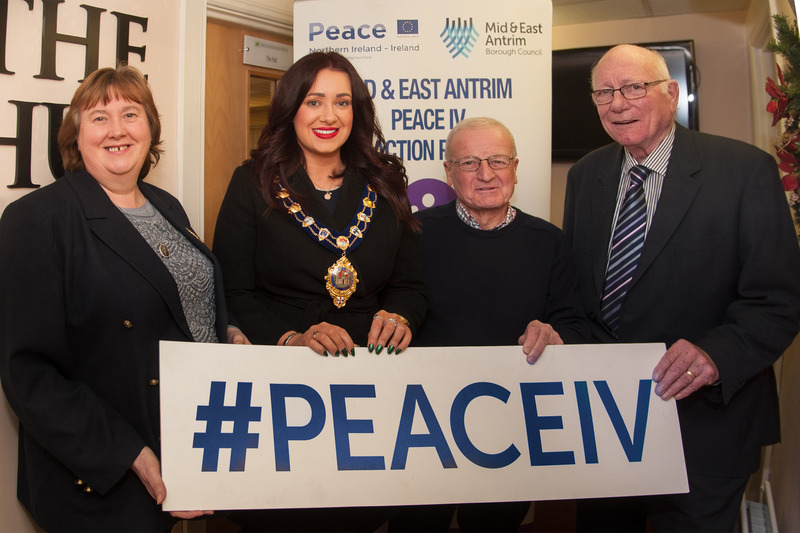 “Through the Mid and East Antrim PEACE IV partnership, we are determined to deliver on an initiative to enable and empower community representative with the knowledge and skills to become champions and leaders of their community, while promoting positive relations. This project more than addresses this, and through the experienced effective delivery of our delivery partner, NACN, we have the potential to really bring something to our community leaders that they can use and build on”.